A New Yorker writer revisits the seminal book of her youth--Middlemarch--and fashions a singular, involving story of how a passionate attachment to a great work of literature can shape our lives and help us to read our own histories. REBECCA MEAD is a staff writer for The New Yorker. She is also the author of One Perfect Day: The Selling of the American Wedding and recently contributed a foreword to the Penguin Classics Deluxe edition of Middlemarch. She lives in Brooklyn. 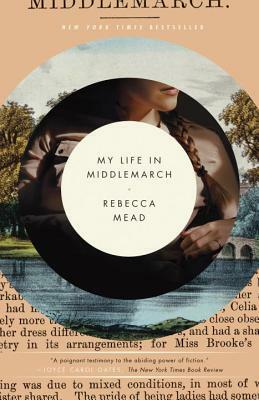 "My Life in Middlemarch is both unclassifiable and irresistible: a smart, absorbing glimpse into two lives—George Eliot’s and Rebecca Mead’s—as well as a lively meditation on Middlemarch. Intelligent, insightful, and generous in her judgments, Mead is a delightful guide—winsome and engaging." —Adelle Waldman, author of The Love Affairs of Nathaniel P.